I think kids nowadays are too smart. They know what’s “Arcade” at a very young age! Though “unfortunately”, Dawn gets to know what arcade is and loves to go there, we limit the frequency and time in the arcade. 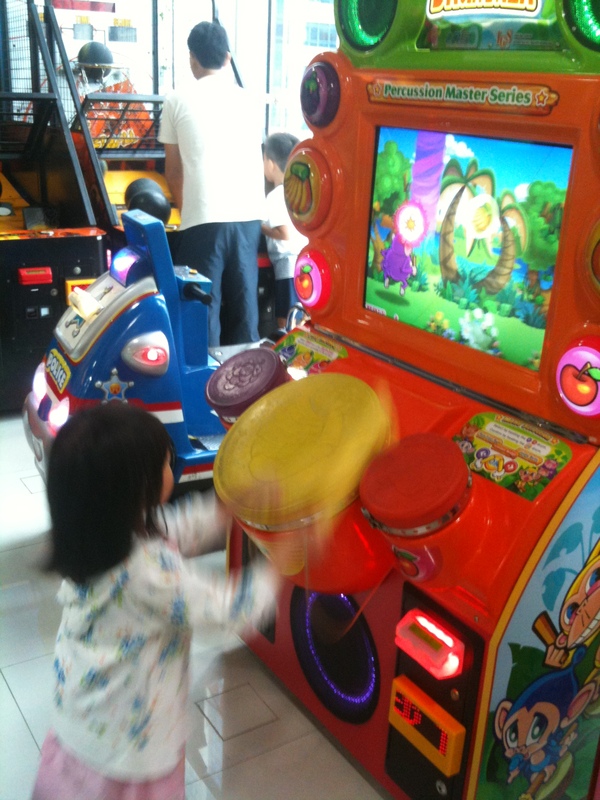 Hopefully by the time she’s in primary school, she has already grown sick of arcade..haha! As parents, I personally think that we cannot stop kids from all these multimedia exposure, or restrict them from engaging and playing them. The more we restrict, the more they will yearn to want it. My mother used to scold me for exposing Dawn to PS3, iphone games, computer games etc too early and said that Dawn will not want to study next time….however, till now, Dawn has started to get bored with iphone games (even new games! ), PS3 and the old computer games and will stop when she felt that she has enough of them for a session. Issn’t it good that kids learn how to stop playing when they have enough then to keep nagging them to stop? 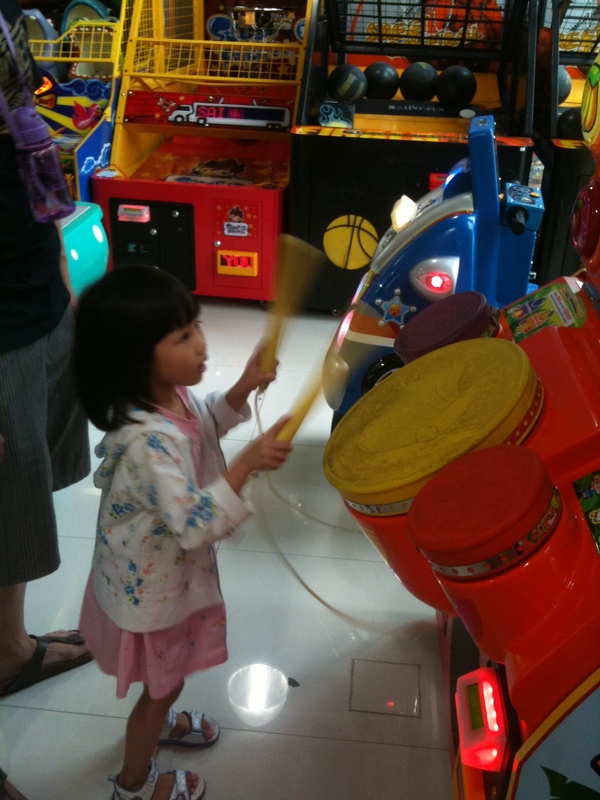 Anyway, this is Dawn playing the drum game in children’s arcade, and she is very good at it!